Novelist Delilah S. Dawson (Star Wars: The Perfect Weapon, Wake of Vultures) and artist Ashley A. 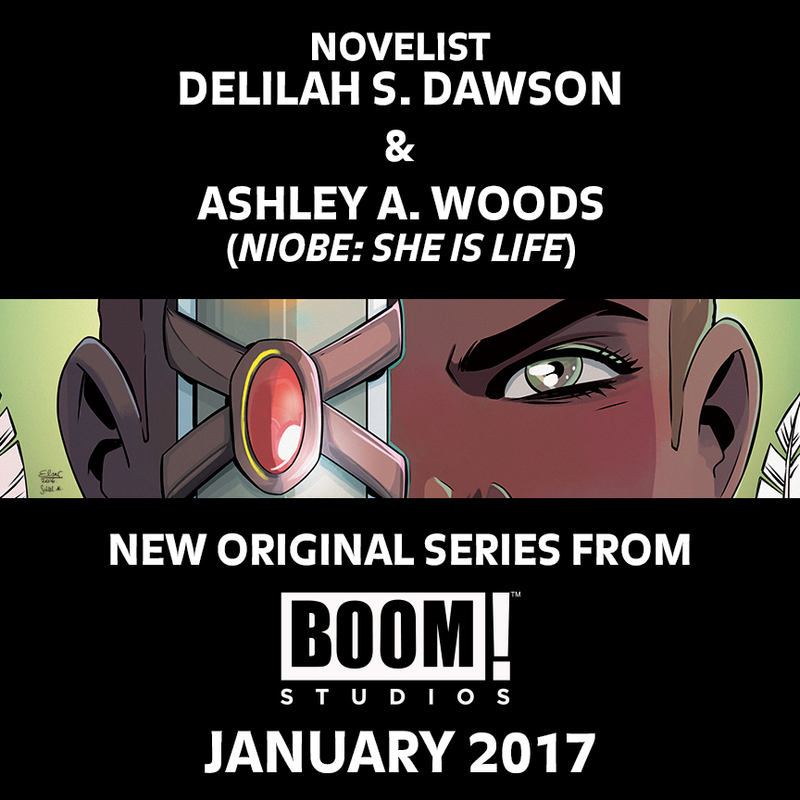 Woods (Niobe: She Is Life, Erathune), coming in January! Here is a teaser image, featuring a peek at the cover art by Elsa Charretier (The Unstoppable Wasp). Delilah S. Dawson is an established author, having recently written Star Wars: The Perfect Weapon, a tie-in title in the Journey to Star Wars: The Force Awakensseries. Under the pseudonym Lila Bowen, she is also known for Wake of Vultures, which is the first volume in "The Shadow" series about a reluctant, dynamic heroine in the Wild West who soon finds herself on the run from monsters. Her YA book,HIT, is about a teen who is forced to become an assassin in order to pay back a debt. Ashley A. Woods is known for Niobe: She is Life with writers Amandla Stenberg ("The Hunger Games") and Sebastian A. Jones, about a young, black warrior woman on a journey of self-discovery, as well as work on Erathune and APB: Artists Against Police Brutality. She is also working on a short story for Past the Last Mountain by Paul Allor (Teenage Mutant Ninja Turtles).